Students entering the afterschool program at the Curley K-8 School in Jamaica Plain on the afternoon of Tuesday, November 17th, received a surprise when they saw their newly remodeled resource room, a gift from Staples. Educators and students from the Curley K – 8 School and the City Year Boston AmeriCorps members who served at the school as tutors, mentors, and role models supporting student success welcomed representatives from Staples for a tour of the school, distribution of school supplies, and the room reveal makeover. 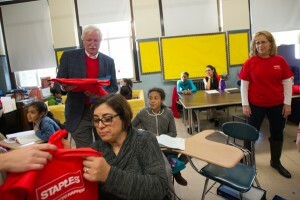 Staples supported the Mary E. Curley School in Jamaica Plain, Mass. with a makeover of the City Year Team Room, portable smart board and classroom supplies on Tuesday, November 17, 2015. 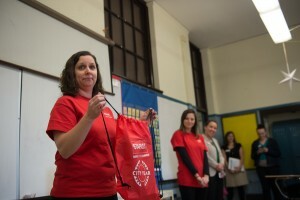 Staples gave all of the school’s 60 teachers a classroom supply kit and a gift card, and more than 875 students received a school supply pack. The event celebrates Staples’ commitment to education and creating positive learning environments for students in Boston. 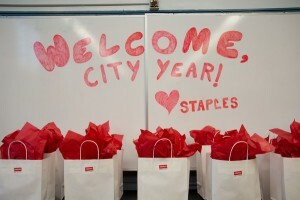 Staples committed artwork, banners, furniture, a portable SMART board and school supplies to help create a vibrant space for Curley K-8 students to work alongside City Year Boston AmeriCorps to increase their academic achievement and school engagement. This is the second year that City Year Boston is serving the Curley School’s nearly 900 students in Boston’s Jamaica Plain neighborhood. City Year AmeriCorps members partner with teachers and provide attendance coaching, additional support, and academic tutoring to help increase student success. In addition to the room makeover, Staples is donating individual school supplies to all 876 students and robust resource kits, including a Staples gift card, to all 60 teachers of the Curley K – 8 School. About the Curley K – 8 School: The Curley K-8 School is a Boston Public School in Jamaica Plain with a strong academic program, a dedicated faculty and staff, an extensive and engaged parent community, and some of the best kids in the world. 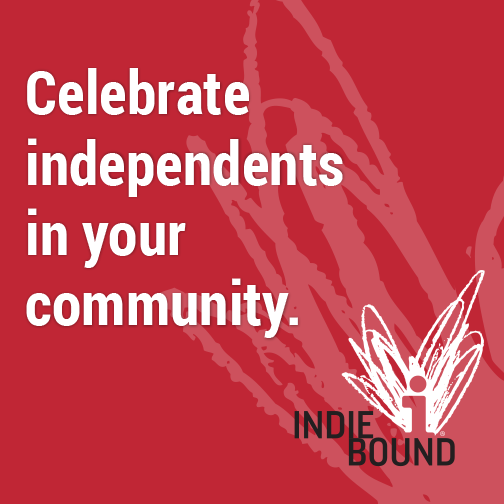 We are a school which strives to create a place where all students and adults feel cared for. To guide our work, we have three school-wide expectations: we care about ourselves, we care about each other, and we care about our school. More information is available at www.curleyk8.com. About Staples: Staples makes it easy to make more happen with more products and more ways to shop. Through its world-class retail, online and delivery capabilities, Staples lets customers shop however and whenever they want, whether it’s in-store, online or on mobile devices. Staples offers more products than ever, such as technology, facilities and break room supplies, furniture, safety supplies, medical supplies, and Copy and Print services. 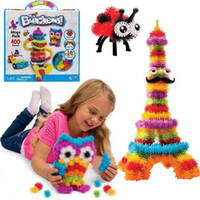 Staples also offers free shipping for Staples Rewards Members, in most cases overnight. Headquartered outside of Boston, Staples operates in North and South America, Europe, Asia, Australia and New Zealand. 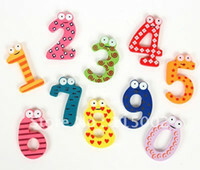 More information about Staples (SPLS) is available at www.staples.com. 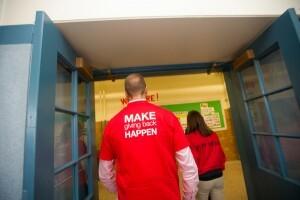 About City Year: City Year is dedicated to helping students and schools succeed. City Year partners with public schools in 27 urban, high-poverty communities across the U.S. Diverse teams of City Year AmeriCorps members serve full-time in high-poverty urban schools, providing high-impact student, classroom, and school-wide support to help students stay in school and on track to graduate from high school, ready for college and career success. A recent third-party study found that schools that partner with City Year are two to three times more likely to improve on state student assessments in English and math compared to similar schools. A proud member of the AmeriCorps national service network, City Year is made possible by support from the Corporation for National and Community Service, school district partnerships, and private philanthropy from corporations, foundations and individuals. For more information, go to www.cityyear.org. This is a sponsored post by Staples. My opinion, as always, is my own.